Preparing your classroom for a festive Father’s Day? Better have a few games ready! I’ve learned from experience that having too much free time at the end of class can lead to mischief. Have a few Father’s Day themed games ready and you’ll be ready to go. Here are two brand new ideas for a Father’s Day themed lesson or party. Father Had a Little Lamb: You know the song Mary Had a Little Lamb? This is Father Had a Little Lamb! Let one child be the Father. This child stands in the center of a circle of children. The child puts his hands over his eyes as the other children, the ones in the circle, pass a cotton ball (a lamb) around while singing the Mary Had a Little Lamb song substituting Mary with Father. When the song is over, the Father has to guess who is holding the lamb. He keeps going until he guesses right or you could give him three chances and then find another Father to stand in the center of the circle. If you have a large class, divide the kids into groups to make this game go quicker. 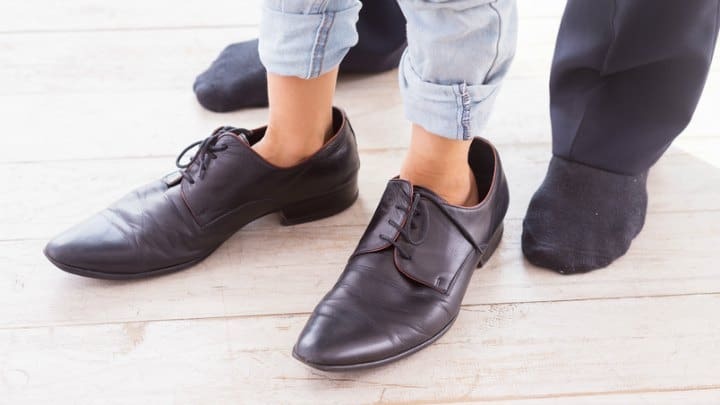 Walking in Dad’s Shoes: Before kids arrive make a pile of adult sized shoes on one side of the room. You need to have at least two pair of “Dad” shoes in the pile. Divide the class into two groups and have them form two lines. You need a start and finish line at least ten feet apart. When you say go, the first person in each line needs to race to the shoe pile to find Dad’s shoes. They should find the right pair of shoes, put them on and race to the finish line. Once there, the racers, take off Dad’s shoes and carry them back to the pile. They high five the next person and the game continues until everyone in one line has made the trip. The first group to do so is the winner! Don’t miss all our Father’s day ideas. Tony Kummer (Editor) reviewed & updated this page on : June 7, 2016 at 11:55 pm. All our content is peer reviewed by our readers, simply leave a comment on any post suggest an update.